All images on these pages are the copyrighted works of Peggy Flanders and are not to be used with out the express written consent of the artist. 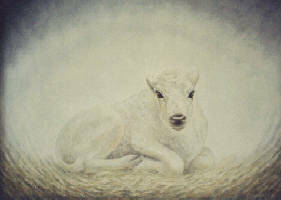 Click on the link to the legend of White Buffalo Woman to see a larger picture of Ptesan (White Buffalo Calf). 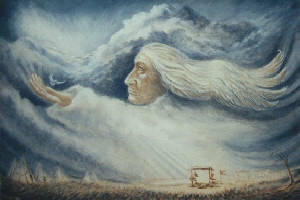 There are many version of the legend of White Buffalo Woman because it was passed down through the ages verbally. 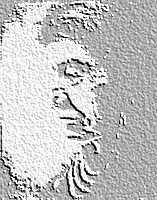 The account at the above link is by Black Elk as reported by Joseph Brown. If you have additional information or other sites that would be relevant to link to please contact us at pj@peggyflanders.com . 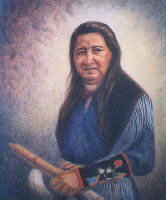 This link contains portraits of Native American ancestors. 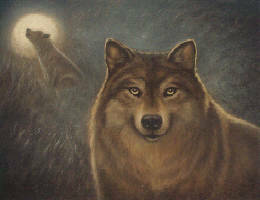 Individual portraits can be clicked on to view a larger picture of the painting.